Grew up going with John Birkey, my Dad, (started in 50) to the shop on Saturday nites in P-roy, IA when I was just a "tike". In our small town, that's what was happening on weekends. 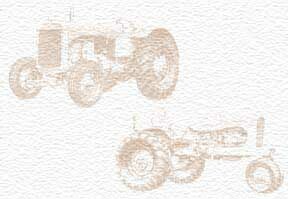 Allis Chalmers & Chevy, WoW, how stuff sticks in your head. Got the chance to buy in, went great for quite a while, grew during the 80's, lots of late nights helping the shop out during harvest. Late 90's, 50+ "2 Series Combines" in a declining market, every one wanting to lease new ones, you know the "rest of the story". Regrets? NOT. Would I do it a different way again? "Of Course!" As was said to me one time from a Company Official at a Sales Meeting, "AC knows how to build it, We have had a struggle at Marketing it". For example, I look at the old FFA books & manuals from the 40-50's of my father-in-law's, guess which Company sponsored them? Who knows, At that time, it may have looked like a "go for broke" investment for them. Who Won? Nevertheless, ALLIS CHALMERS & (insert your own)Rock! Proud to have been a dealer! Many fond memories.